The famous Alcazar Castle is located in the enchanted village of Segovia, Spain, which is surrounded by a medieval wall, and the village itself has twisting alleyways and pedestrian streets where cars are banned. Located 22 minutes from Madrid via fast train (which is how we traveled) or just over an hour by regular train, makes it a perfect day trip to include in your itinerary while in Spain! Originally, I thought the Alcazar Castle was the source of inspiration for Walt Disney when creating Sleeping Beauty’s castle in Disney world. Actually it was the Neuschwanstein Castle in Germany. But, this castle was where Columbus secured the financial backing necessary, from Queen Isabel, to discover America. The gardens were amazing! This shot was taken from above looking down (obviously). 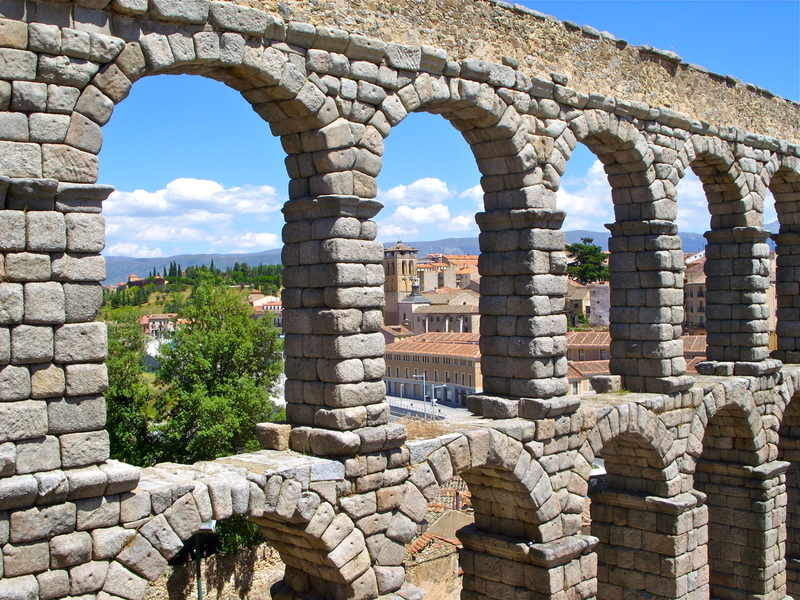 The world-renowned Roman Aqueduct, the largest and best preserved of its kind anywhere is a massive architectural marvel. This 16th-century Cathedral, a prominent landmark as one approaches from any direction, was impressive. I’m not sure what the history of this is…but I like it. This little girl agreed to be photographed while her Mother stood by. 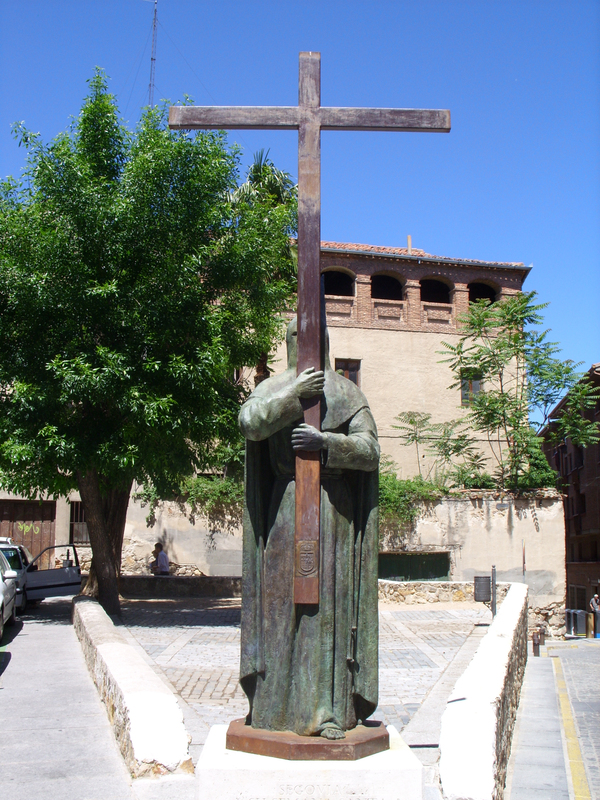 I hope I’ve convinced you to visit Segovia. You’ll fall in love! Thanks very much! I’ll definitely do that soon!! Pingback: Segovia: You Eat the Baby Pig WHOLE?? « ¡Hola Yessica! Thanks for stopping by my blog, I’m glad to see we have a shared interest in travel. 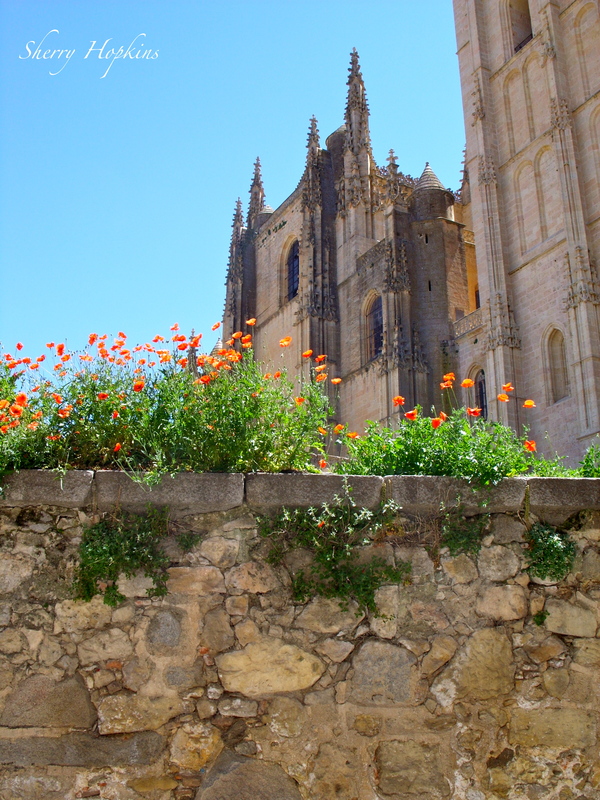 I was fortunate enough to visit Segovia while studying in Salamanca, it’s such a special place. I was blown away by the aquaduct. I still think it was the inspiration for Disney! Beautiful! Don’t tell anyone…me too!! Thanks! You’ve convinced me!!! I want to go!!!! Ow, I’m frowning because I was supposed to go back to Spain last month but the assignment got jacked from me. It’s called The Alcazar Castle? Interesting. 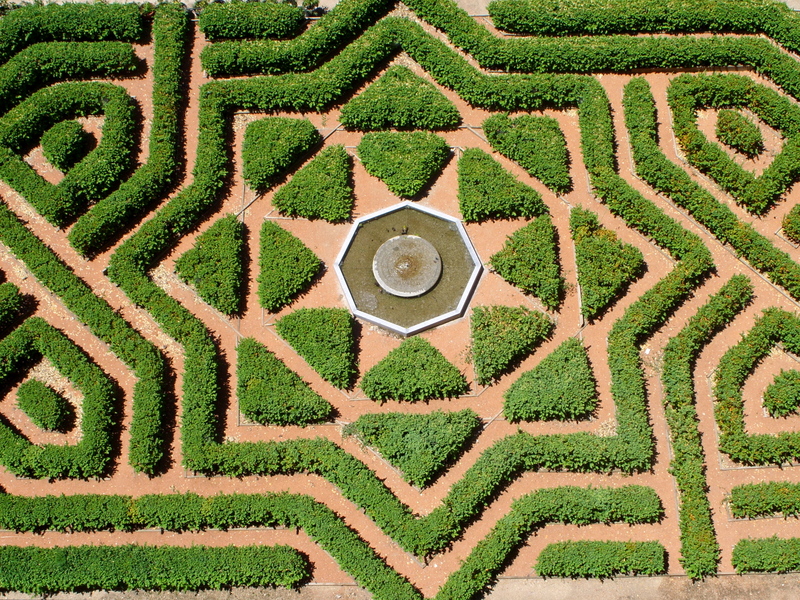 They call the one in Sevilla, Alcazar Palace. Alcazar means Castle in Spanish…I think. What an amazing place, so much history, so much to explore, very nice. Enchanting! I thought the Disney castle inspiration was in France, I have a calendar. Anywho…There are so many castles over there and Spain does look lovely, kinda like northern California. Bet I’d like Spain just cause it’s probably warmer, right!? I knew this very funny guy and when he went to visit Germany, his parents were from there, he sent me postcards of the castle’s. So I imagine a continent of castle’s and moats and vines. I just looked it up and we’re both wrong. It was the Neuschwanstein Castle in Germany. I forget who gave me this incorrect information. I guess I’ll correct it… but I can’t change the name of the post now…LOL! Oh my goodness. I would never have known that in a thousand years, cept I bought a calendar at Xmas! I like your wine painting glasses. Your photographs are absolutely magnificent, but then again, so is the subject matter. I love the old castles, their detail, their workmanship, and the awe of their grandeur. Thank you for sharing these shots. 🙂 Nice post. Thanks so much…you’re right…it’s hard to take a bad photo with so much beauty to shoot!! 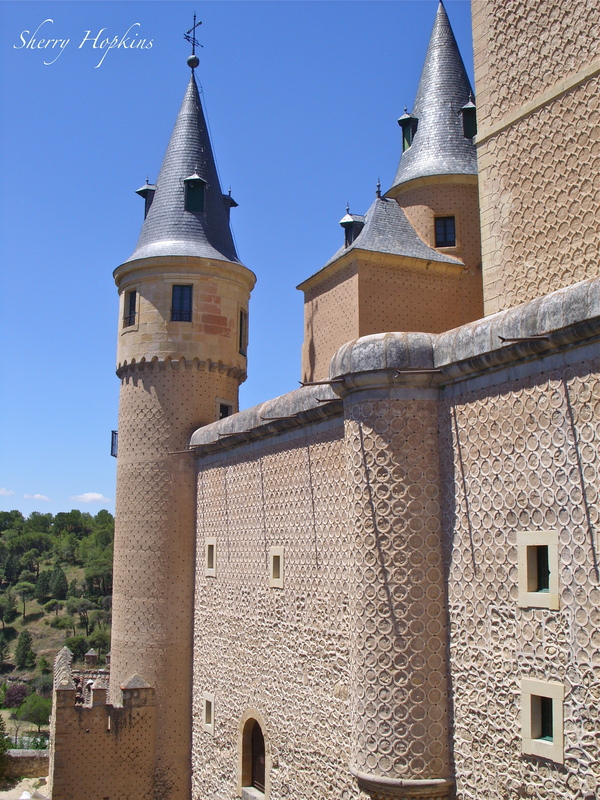 You really make a convincing case for visiting Segovia. Phantastic pictures. Thanks Pit…hope you have a great day too!! Very lovely set of photos and I enjoyed every photo. 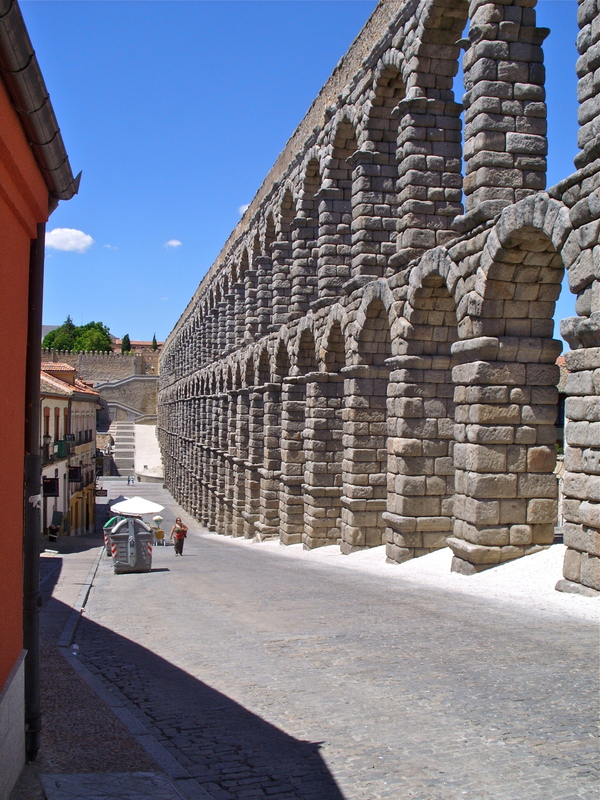 I was very interested in Roman Aqueducts. 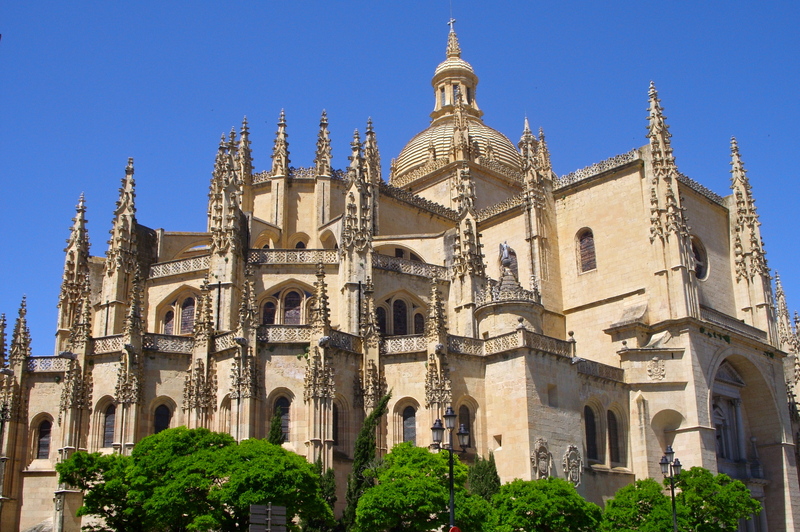 Looks beautiful…will definitely go visit after walking the Camino!! 🙂 Thanks for sharing! You will love it Cheri!